These machines work in manual mode using a joystick or in automatic mode using a laser reference. In the latter case, guidance is assured either using a central laser receiver (elevation correction only), or using two side receivers installed on each side of the blade body (elevation and inclination correction). 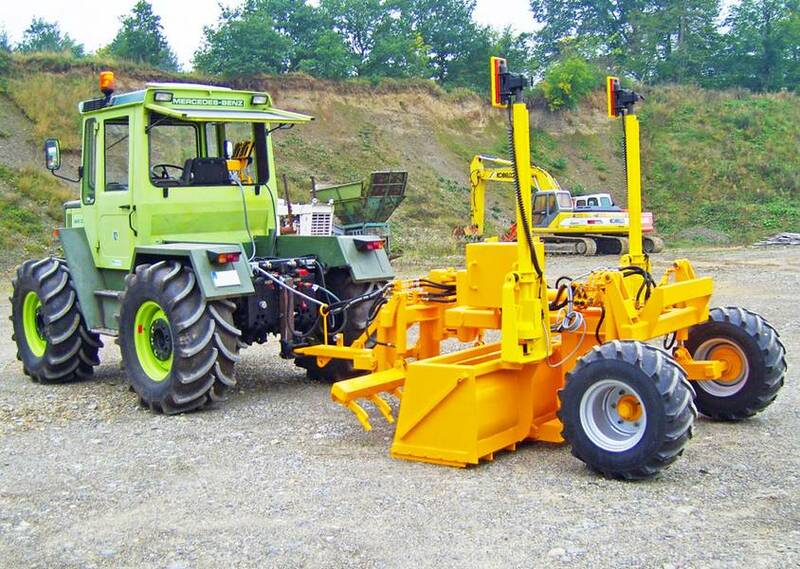 The hydraulic system is connected to the pump of the tractor engine whatever the system type installed on the tractor. This may be an open or closed circuit with or without a load detection device. The tractor must be equipped with a single or double effect distributor and a free return to the tank. No hydraulic pre-equipment on the tractor is necessary. 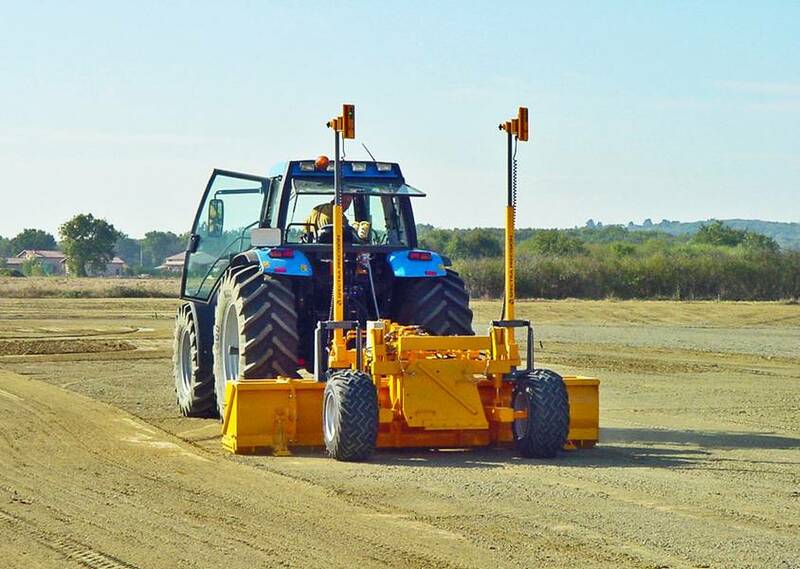 The LOG graders of width 3.5 metres are equipped with lateral pads for stabilizing of the machine during surfacing work at high speed. These pads can be adjusted dependent on the wear of the blade's cutting edge and the desired support value. The machine's hydraulic lifting system is intended to be commanded by 1 or 2 laser receivers installed on the blade (elevation control and continuous plate correction if a 2nd receiver is fitted). 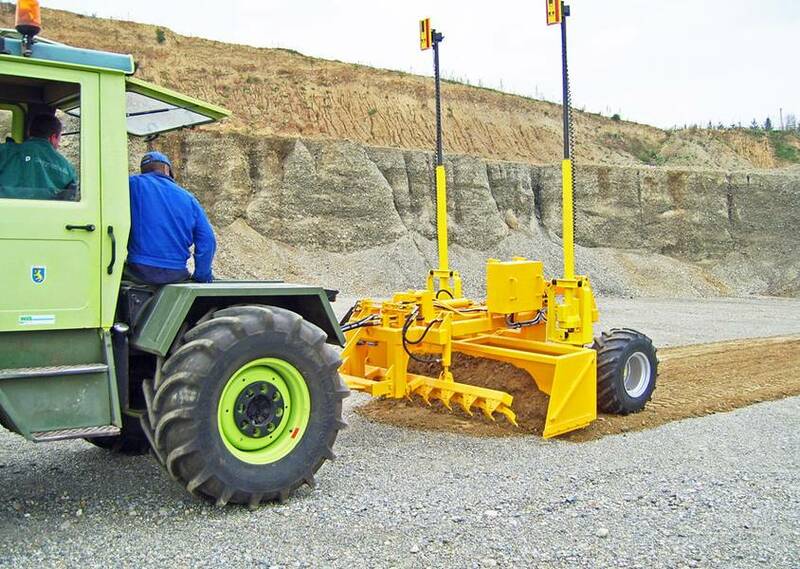 The machine control and management systems in 2D, G30LC or G55LC are perfectly adapted on the LOG blade for earthmoving, excavation and filling work right down to fine adjustment (dependent on the system). 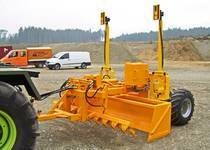 The chassis can be hinged with right and left clearance of 45°. 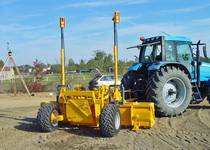 The machine can then be offset from the tractor trajectory during working. 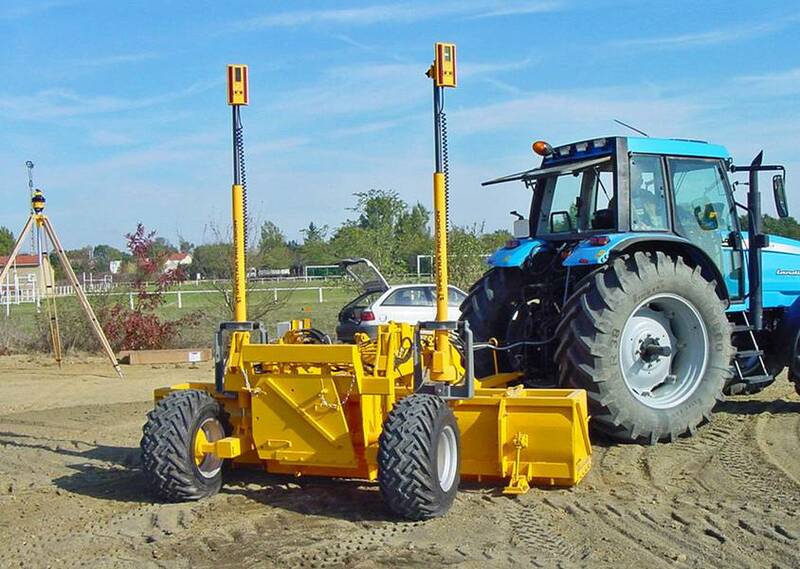 For example this allows working closed to a kerb, the creation of angles with a minimum radius or even turning by following the tractor traces. 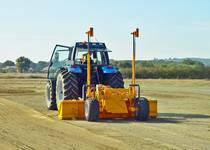 A chisel can be attached to the front of the machine and used to aerate the materials to be stripped and hence to limit the towing forces.